CapitaLand has divested of 20 retail assets for Rmb8,365m (about S$1,705.9m) to unlock capital from mature assets and sharpen its focus in tier-1&2 cities. The sale will generate net proceeds of about S$660m for their effective stake, and a net gain of about S$75m (1.76 S cents/share). The loss of income from the divested malls will be more than offset by contributions from new malls and divestments gains. Maintain BUY with unchanged target price of S$4.30, pegged at a 15% discount to our RNAV of S$5.06/share. CapitaLand (CAPL) announced the divestment of a group of companies that owns 20 retail assets across 19 cities in China for Rmb8,365m (about S$1,705.9m). The sale is expected to be completed in 2Q18. Transacted price is attractive, with divestment gains of S$75m. The sale consideration of Rmb8,635m (S$1,705.9m) is 6.7% above the property value of Rmb7,842.2m (S$1,599.3m). 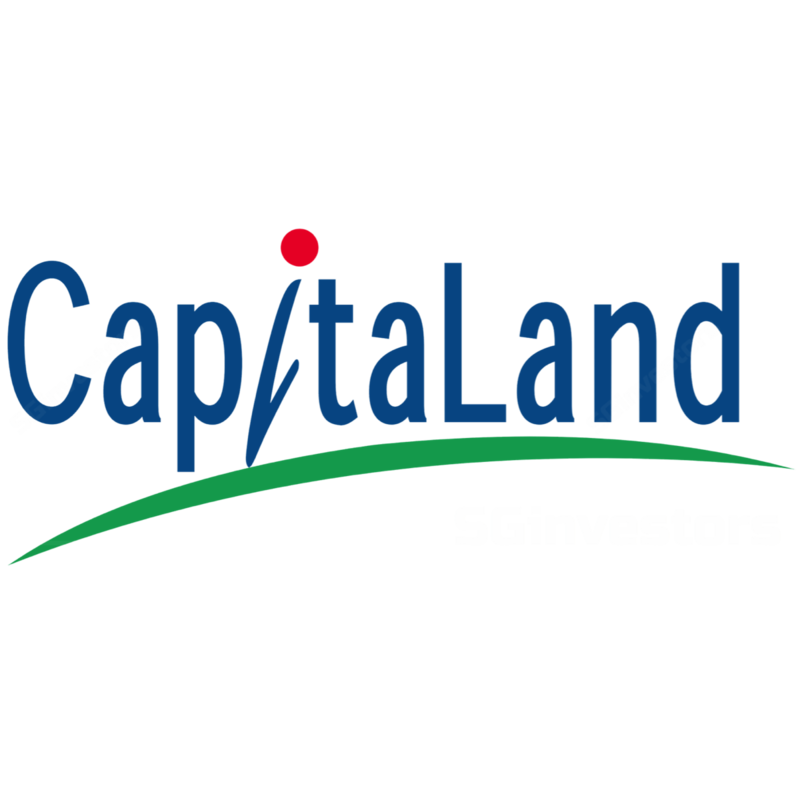 This will generate net proceeds of about S$660m for CapitaLand’s effective stake, and a net gain of about S$75m (1.76 S cents/share). 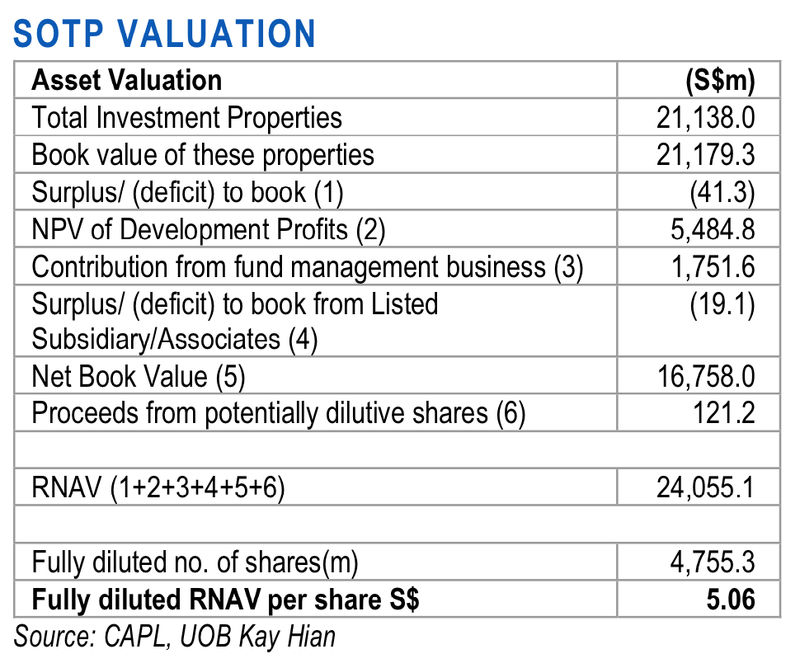 The buyers are China Vanke, Vanke’s subsidiary SCPG Commercial Property, and Triwater Asset Management, which are also assuming US220.4m (S$292.3m) in outstanding shareholder loans on books of the companies divested. Sharpened focus in tier-1&2 cities. CapitaLand aims to continue investing in dominant assets across the five core Chinese city clusters, where it already has competitive advantages. The current round of mall portfolio reconstitution follows on CapitaLand’s divestment of CapitaMall Kunshan last month and the JV formation between CapitaLand and CapitaLand Retail China Trust (CRCT) last November to acquire Rock Square (a shopping mall in first tier city of Guangzhou). Unlocking value from matured assets with limited upside. The divestment is in line with CapitaLand’s capital recycling strategy to unlock value of mature assets for reinvestment into new growth opportunities. Out of the 20 malls divested, 14 are single malls in single cities, where CapitaLand does not have a big enough presence to enjoy market influence, or scale advantages. At the same time, the divested malls are first-generation malls (purchased more than a decade ago), small-sized (averaging 430,000sf), and many have long leases locked in with Walmart. These features have limited CapitaLand’s ability to reposition or rejuvenate the malls via AEI initiatives, amid competition from better-quality malls which are springing up in the vicinity. Redeployment of net proceeds from sale of 20 China malls. With the repatriated disposal proceeds of S$660m, CapitaLand will have S$3.66b for redeployment. Management alluded the view to re-invest divestment proceeds to acquire dominant assets located in the five core city clusters. The capital can go into different asset classes (not necessarily retail malls). Limited impact to core earnings, ROE target remains on track. The loss of recurring income from the divestment of 20 malls is limited to about 2.2% of the overall NPI. Management noted that the opening of six strong yielding malls and Rock Square acquisition are expected to lift its China malls’ NPI in 2018, offsetting the loss of income from the divested malls, with divestment impact taken into account. Overall, CapitaLand is still on track to meet its ROE target of 8% in 2017 and 2018. Maintain BUY with an unchanged target price of S$4.30, pegged at a 15% discount to our RNAV of S$5.06/share as the impact to RNAV is minimal (< 0.2%). We believe that the loss of income from the 20 divested malls will be more than offset by divestments gains and contributions from new malls. Future partnerships with funds or institutions. Value-accretive acquisition of projects in the five core city clusters in China. Relaxation of property cooling measures (Total Debt Servicing ratio etc. ).